The Lenten period, which leads us to the celebration of Holy Easter, is for the Church a most valuable and important liturgical time, in view of which I am pleased to offer a specific word in order that it may be lived with due diligence. As she awaits the definitive encounter with her Spouse in the eternal Easter, the Church community, assiduous in prayer and charitable works, intensifies her journey in purifying the spirit, so as to draw more abundantly from the Mystery of Redemption the new life in Christ the Lord (cf. Preface I of Lent). 1. This very life was already bestowed upon us on the day of our Baptism, when we “become sharers in Christ’s death and Resurrection”, and there began for us “the joyful and exulting adventure of his disciples” (Homily on the Feast of the Baptism of the Lord, 10 January, 2010). In his Letters, St. Paul repeatedly insists on the singular communion with the Son of God that this washing brings about. The fact that, in most cases, Baptism is received in infancy highlights how it is a gift of God: no one earns eternal life through their own efforts. The mercy of God, which cancels sin and, at the same time, allows us to experience in our lives “the mind of Christ Jesus” (Phil 2: 5), is given to men and women freely. The Apostle to the Gentiles, in the Letter to the Philippians, expresses the meaning of the transformation that takes place through participation in the death and resurrection of Christ, pointing to its goal: that “I may come to know him and the power of his resurrection, and partake of his sufferings by being molded to the pattern of his death, striving towards the goal of resurrection from the dead” (Phil 3: 10-11). Hence, Baptism is not a rite from the past, but the encounter with Christ, which informs the entire existence of the baptized, imparting divine life and calling for sincere conversion; initiated and supported by Grace, it permits the baptized to reach the adult stature of Christ. A particular connection binds Baptism to Lent as the favorable time to experience this saving Grace. 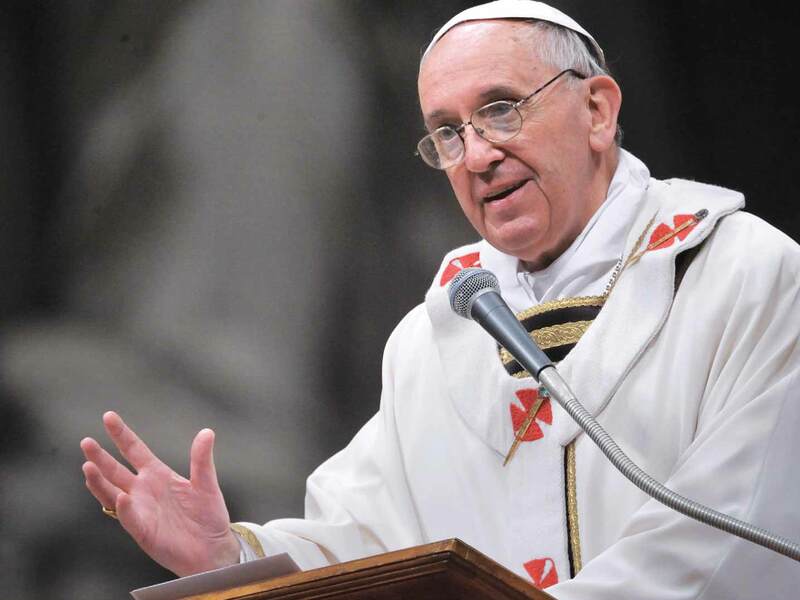 The Fathers of the Second Vatican Council exhorted all of the Church’s Pastors to make greater use “of the baptismal features proper to the Lenten liturgy” (Constitution on the Sacred Liturgy Sacrosanctum concilium, n. 109). In fact, the Church has always associated the Easter Vigil with the celebration of Baptism: this Sacrament realizes the great mystery in which man dies to sin, is made a sharer in the new life of the Risen Christ and receives the same Spirit of God who raised Jesus from the dead (cf. Rm 8: 11). This free gift must always be rekindled in each one of us, and Lent offers us a path like that of the catechumenate, which, for the Christians of the early Church, just as for catechumens today, is an irreplaceable school of faith and Christian life. Truly, they live their Baptism as an act that shapes their entire existence. 2. In order to undertake more seriously our journey towards Easter and prepare ourselves to celebrate the Resurrection of the Lord – the most joyous and solemn feast of the entire liturgical year – what could be more appropriate than allowing ourselves to be guided by the Word of God? For this reason, the Church, in the Gospel texts of the Sundays of Lent, leads us to a particularly intense encounter with the Lord, calling us to retrace the steps of Christian initiation: for catechumens, in preparation for receiving the Sacrament of rebirth; for the baptized, in light of the new and decisive steps to be taken in the sequela Christi and a fuller giving of oneself to him. The First Sunday of the Lenten journey reveals our condition as human beings here on earth. The victorious battle against temptation, the starting point of Jesus’ mission, is an invitation to become aware of our own fragility in order to accept the Grace that frees from sin and infuses new strength in Christ – the way, the truth and the life (cf. Ordo Initiationis Christianae Adultorum, n. 25). It is a powerful reminder that Christian faith implies, following the example of Jesus and in union with him, a battle “against the ruling forces who are masters of the darkness in this world” (Eph 6: 12), in which the devil is at work and never tires – even today – of tempting whoever wishes to draw close to the Lord: Christ emerges victorious to open also our hearts to hope and guide us in overcoming the seductions of evil. The Gospel of the Transfiguration of the Lord puts before our eyes the glory of Christ, which anticipates the resurrection and announces the divinization of man. The Christian community becomes aware that Jesus leads it, like the Apostles Peter, James and John “up a high mountain by themselves” (Mt 17: 1), to receive once again in Christ, as sons and daughters in the Son, the gift of the Grace of God: “This is my Son, the Beloved; he enjoys my favor. Listen to him” (Mt 17: 5). It is the invitation to take a distance from the noisiness of everyday life in order to immerse oneself in God’s presence. He desires to hand down to us, each day, a Word that penetrates the depths of our spirit, where we discern good from evil (cf. Heb 4:12), reinforcing our will to follow the Lord. The question that Jesus puts to the Samaritan woman: “Give me a drink” (Jn 4: 7), is presented to us in the liturgy of the third Sunday; it expresses the passion of God for every man and woman, and wishes to awaken in our hearts the desire for the gift of “a spring of water within, welling up for eternal life” (Jn 4: 14): this is the gift of the Holy Spirit, who transforms Christians into “true worshipers,” capable of praying to the Father “in spirit and truth” (Jn 4: 23). Only this water can extinguish our thirst for goodness, truth and beauty! Only this water, given to us by the Son, can irrigate the deserts of our restless and unsatisfied soul, until it “finds rest in God”, as per the famous words of St. Augustine. The Sunday of the man born blind presents Christ as the light of the world. The Gospel confronts each one of us with the question: “Do you believe in the Son of man?” “Lord, I believe!” (Jn 9: 35. 38), the man born blind joyfully exclaims, giving voice to all believers. The miracle of this healing is a sign that Christ wants not only to give us sight, but also open our interior vision, so that our faith may become ever deeper and we may recognize him as our only Savior. He illuminates all that is dark in life and leads men and women to live as “children of the light”. On the fifth Sunday, when the resurrection of Lazarus is proclaimed, we are faced with the ultimate mystery of our existence: “I am the resurrection and the life… Do you believe this?” (Jn 11: 25-26). For the Christian community, it is the moment to place with sincerity – together with Martha – all of our hopes in Jesus of Nazareth: “Yes, Lord, I believe that you are the Christ, the Son of God, the one who was to come into this world” (Jn 11: 27). Communion with Christ in this life prepares us to overcome the barrier of death, so that we may live eternally with him. Faith in the resurrection of the dead and hope in eternal life open our eyes to the ultimate meaning of our existence: God created men and women for resurrection and life, and this truth gives an authentic and definitive meaning to human history, to the personal and social lives of men and women, to culture, politics and the economy. Without the light of faith, the entire universe finishes shut within a tomb devoid of any future, any hope. The Lenten journey finds its fulfillment in the Paschal Triduum, especially in the Great Vigil of the Holy Night: renewing our baptismal promises, we reaffirm that Christ is the Lord of our life, that life which God bestowed upon us when we were reborn of “water and Holy Spirit”, and we profess again our firm commitment to respond to the action of the Grace in order to be his disciples. 3. By immersing ourselves into the death and resurrection of Christ through the Sacrament of Baptism, we are moved to free our hearts every day from the burden of material things, from a self-centered relationship with the “world” that impoverishes us and prevents us from being available and open to God and our neighbor. In Christ, God revealed himself as Love (cf. 1Jn 4: 7-10). The Cross of Christ, the “word of the Cross”, manifests God’s saving power (cf. 1Cor 1: 18), that is given to raise men and women anew and bring them salvation: it is love in its most extreme form (cf. Encyclical Deus caritas est, n. 12). Through the traditional practices of fasting, almsgiving and prayer, which are an expression of our commitment to conversion, Lent teaches us how to live the love of Christ in an ever more radical way. 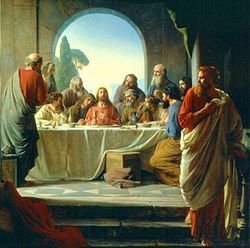 Fasting, which can have various motivations, takes on a profoundly religious significance for the Christian: by rendering our table poorer, we learn to overcome selfishness in order to live in the logic of gift and love; by bearing some form of deprivation – and not just what is in excess – we learn to look away from our “ego”, to discover Someone close to us and to recognize God in the face of so many brothers and sisters. For Christians, fasting, far from being depressing, opens us ever more to God and to the needs of others, thus allowing love of God to become also love of our neighbor (cf. Mk 12: 31). In our journey, we are often faced with the temptation of accumulating and love of money that undermine God’s primacy in our lives. The greed of possession leads to violence, exploitation and death; for this, the Church, especially during the Lenten period, reminds us to practice almsgiving – which is the capacity to share. The idolatry of goods, on the other hand, not only causes us to drift away from others, but divests man, making him unhappy, deceiving him, deluding him without fulfilling its promises, since it puts materialistic goods in the place of God, the only source of life. How can we understand God’s paternal goodness, if our heart is full of egoism and our own projects, deceiving us that our future is guaranteed? The temptation is to think, just like the rich man in the parable: “My soul, you have plenty of good things laid by for many years to come…”. We are all aware of the Lord’s judgment: “Fool! This very night the demand will be made for your soul…” (Lk 12: 19-20). The practice of almsgiving is a reminder of God’s primacy and turns our attention towards others, so that we may rediscover how good our Father is, and receive his mercy. During the entire Lenten period, the Church offers us God’s Word with particular abundance. By meditating and internalizing the Word in order to live it every day, we learn a precious and irreplaceable form of prayer; by attentively listening to God, who continues to speak to our hearts, we nourish the itinerary of faith initiated on the day of our Baptism. Prayer also allows us to gain a new concept of time: without the perspective of eternity and transcendence, in fact, time simply directs our steps towards a horizon without a future. Instead, when we pray, we find time for God, to understand that his “words will not pass away” (cf. Mk 13: 31), to enter into that intimate communion with Him “that no one shall take from you” (Jn 16: 22), opening us to the hope that does not disappoint, eternal life. In synthesis, the Lenten journey, in which we are invited to contemplate the Mystery of the Cross, is meant to reproduce within us “the pattern of his death” (Ph 3: 10), so as to effect a deep conversion in our lives; that we may be transformed by the action of the Holy Spirit, like St. Paul on the road to Damascus; that we may firmly orient our existence according to the will of God; that we may be freed of our egoism, overcoming the instinct to dominate others and opening us to the love of Christ. The Lenten period is a favorable time to recognize our weakness and to accept, through a sincere inventory of our life, the renewing Grace of the Sacrament of Penance, and walk resolutely towards Christ. Dear Brothers and Sisters, through the personal encounter with our Redeemer and through fasting, almsgiving and prayer, the journey of conversion towards Easter leads us to rediscover our Baptism. This Lent, let us renew our acceptance of the Grace that God bestowed upon us at that moment, so that it may illuminate and guide all of our actions. What the Sacrament signifies and realizes, we are called to experience every day by following Christ in an ever more generous and authentic manner. In this our itinerary, let us entrust ourselves to the Virgin Mary, who generated the Word of God in faith and in the flesh, so that we may immerse ourselves – just as she did – in the death and resurrection of her Son Jesus, and possess eternal life.